Sounds like yet another ploy to encourage families to employ home cleaning services but you’ll be surprised at what research has to show. Is it time to make a clean and tidy home priority? Well, chaotic and untidy households have been shown to encourage bad behaviour in young children due to lack of routine and order in their home environment. So it might be time to employ some extra domestic cleaning help, or at least encourage your partner to get more involved in domestic tasks. Not only are children’s behaviours affected, parents are hindered too. 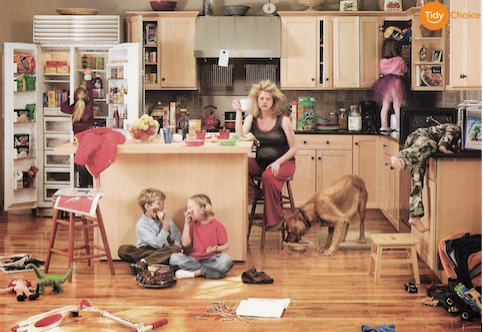 With chaotic environments, parents tend to become less involved with their children and interfere in moments of exploration, a key stage in children social cognitive development. In such cases, parents feel unable to adequately discipline their children and are consequently more likely to rely on physical punishments to correct their children’s behaviour. Improve your family life by making household cleaning a priority. Especially considering the health benefits explored in our last blog post. We, at TidyChoice, believe in domestic cleaning services. We believe it is important to find the perfect cleaner for your personal needs and requirements. Go to www.tidychoice.com today, to browse through independent, trustworthy & affordable cleaners in your local area. Book instantly and put your family first, a tidy home is a better home.